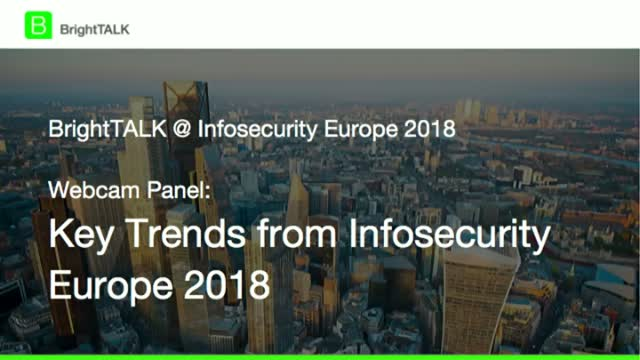 Join this post-conference panel for an in-depth look into the biggest trends and cyber threats covered during the Infosecurity Europe 2018 conference in London. The BlackBerry Cylance 2019 Threat Report Highlights webinar features an examination our conclusions with the researchers and analysts who authored the report. It is an in-depth look at the cybersecurity trends, topics, and innovations that dominated the past year. Our panel of experts offer additional insight into the discoveries drawn from our internal data, customer communications, threat research, and intelligence efforts. Learn how Cylance can help your organization meet the challenges posed by today’s increasingly virulent threat environment. Our Virtual Chief Information Security Officer (vCISO) service augments your team with seasoned security experts to who can help plan, prioritize, and implement security best practices, comply with state and federal cybersecurity laws, as well as continually manage risk efficiently to reduce impact to the business using prevention-first methodologies. How easily can adversaries bypass your next-gen AV? Find out by attending BlackBerry Cylance’s special two-part Hacking Exposed webinar series. Part 1: Hacking Exposed; Bypassing Next-Gen. Chief Evangelist Brian Robison will provide a live demonstration of the hacking tools and techniques adversaries are now using to evade Next-Gen AV. He’ll examine a variety of file-based and fileless methods, including memory exploits, living-off-the-land attacks, script- and application-based attacks, and more. Part 2 – BlackBerry Cylance vs. Hacking Exposed. Brian will return to demonstrate how our AI-based EDR platform stops these same attacks cold, before they can execute and compromise your systems. Learn how the new automation features in the Winter 2019 release of CylanceOPTICS™ enable security teams to minimize the time it takes to detect and respond to advanced threats. View the recording of this live Cylance vs. Hacking Exposed: Obfuscation and Weaponization webinar to learn how Cylance’s technology prevents sophisticated threats, no matter how well they’re obfuscated, initiated by routine system services, or concealed within weaponized documents. See for yourself why a prevention-first security posture is not only practical, but also the most effective way to minimize your organization’s risks of being breached or compromised. -Predictions about the future threat landscape. -New and emerging business and technology investment priorities. -What organizations can do to better protect themselves in 2019. The previous Hacking Exposed episodes introduced you to many of the tools and techniques real-world adversaries use to evade endpoint security products. We will put these concepts into practice and conduct full-scale, multi-phased, endpoint compromises. The techniques and tactics you will learn in this Hacking Exposed session will provide valuable tools for testing the effectiveness of your current defenses. Endpoint Detection and Response products were introduced to the market in the early 2010’s and have focused on detecting signs of a compromised system by recording behaviors then alerting humans. Unfortunately, the scale and pace of attacks often overwhelm even the best security analysts and teams. As technology improves, new approaches to performing endpoint detection and response emerge. Artificial Intelligence and Machine Learning are new technologies that have been succesfuly applied to the traditional anti-virus problem of detecting “infected” or malicious files without the need for manually created signatures. It is now possible to extend this technology to the problem of detecting, and preventing attacks based on the new techniques that do not rely on infected files, but rather on the malicious behavior of systems regaurdless of the technique used for the attack. Join Fernando Montenegro of 451 Research and Ed Metcalf of Cylance for this webinar about how endpoint detection and response can evolve by incorporating newer capabilities, and better support defenses in the modern threat environment. Defending from increasingly advanced and targeted cyberattacks is a constant challenge. Organizations need to gain a true understanding of their network security gaps and vulnerabilities from the perspective of an attacker in order to better address the risk these gaps and vulnerabilities can place on their operations. Listen to the new survey findings from Enterprise Strategy Group (ESG) to gain insights on the threat landscape and what your IT peers deem as the top cybersecurity concerns. Bad actors focus their energy on developing sophisticated attacks. In fact, 46% of organizations have been the victim of ransomware in the last year. Learn more about their top concerns and how they’re turning to machine learning as a strategic technology to prevent future infections. The video was commissioned by Cylance and is being distributed under license from ESG. Whether it is a new ransomware campaign or stealthy targeted attack, your endpoints are being attacked and are often the last line of defense in your fight against the cybercriminals. In this webinar, you will understand how endpoints are the final frontier for security and how you must be resilient in using the latest prevention and protection technologies. Learn how the power of machine learning and artificial intelligence are changing the endpoint protection landscape. Gone are the days of daily signature updates, maxed out performance impact, and the lack of security effectiveness against both known and unknown threats. It is time explore the new world of endpoint security. How do you defend your enterprise against cyberattacks that don’t use disk-based files but, instead, execute their payloads using machine memory? This attack vector, fileless malware, requires an innovative solution that goes beyond signature-based antivirus tools. In this webinar, you will learn about the dangers of fileless malware and how CylancePROTECT® uses memory protection and script control to prevent advanced threats from executing on your organization’s endpoints in real time. •Understand how CylancePROTECT uses multiple protection elements to defend endpoints from advanced exploitation and evasion techniques. Join this interactive Q&A panel to discover the biggest lessons of the recent Equifax breach and how to apply them toward improving your and your organizations cyber security. This webinar discussion is a discussion with Malcolm Harkins, Chief Security and Trust Officer at Cylance®, and Daniel Shuler, CISO at Phoenix Children’s Hospital. Cylance customer Daniel Shuler is responsible for securing 5,000 endpoints across 20 sites for the Phoenix Children’s Hospital. Hear Daniel and Malcolm discuss the deployment of a real-world security strategy that enabled the hospital to reach the state of prevention and successfully deflect a ransomware attack. “CylancePROTECT® outperformed others we’ve seen and experienced,” – Daniel Shuler. Register now to listen to this discussion with security experts. The NotPetya pandemic that started in late June and disrupted the operations across companies, utilities, government agencies across France, Russia, Spain, Ukraine and the United States, happened just weeks after the WannaCry ransomware attack. Was NotPetya a financially motivated ransomware attack or an act of cyberwar? During the webinar Thomas Pace, Director of Consulting Services at Cylance®, will walk you through the course of events that led up to the OPM breach, expose the motivation behind the attack, and project its probable long-term impacts on how the U.S. government evaluates its IT and security strategy. Thomas will review the role Cylance played in responding to the breach by explaining the tools and processes that Cylance utilized to quickly detect and remove the malware from over 10,000 machines. You’ll also get an inside look at how the lessons learned can help your organization to better prepare against and prevent security vulnerabilities. On 25th May, with just 12 months before the EU General Data Protection Regulation (GDPR) comes into force, it’s time to take the GDPR debate ‘Beyond Compliance’ to explore the true value of proactive prevention. With a data breach setting off a chain reaction of escalating costs, damaged reputations, and future business loss, join Duncan Brown, Associate Vice President at IDC and Dr. Anton Grashion, Senior Director Product Marketing EMEA at Cylance ®, to discuss the power of prevention. Taking you behind the headline-making fines, and rising above the process minutia, the webinar explores the fundamental point that being GDPR compliant doesn’t reduce your risk of a data breach. It will show that, by addressing the problem GDPR is designed to eliminate – the breach itself – organisations can maximise the value of their compliance investments. How can you rebalance GDPR planning in the next 365 days to fulfill remediation requirements and bolster breach prevention strategies? Cylance® is revolutionizing cybersecurity with products and services that proactively prevent execution of advanced persistent threats and malware, enabling a level of security that far exceeds the effectiveness of solutions deployed throughout enterprises, government and institutions worldwide. Cylance’s award-winning product, CylancePROTECT® stops what others don’t, without requiring a cloud connection or frequent updates, all while using a fraction of the system resources associated with legacy antivirus software. Visit www.cylance.com for more information.